This famous visual machine software greatly improved its start-up efficiency. 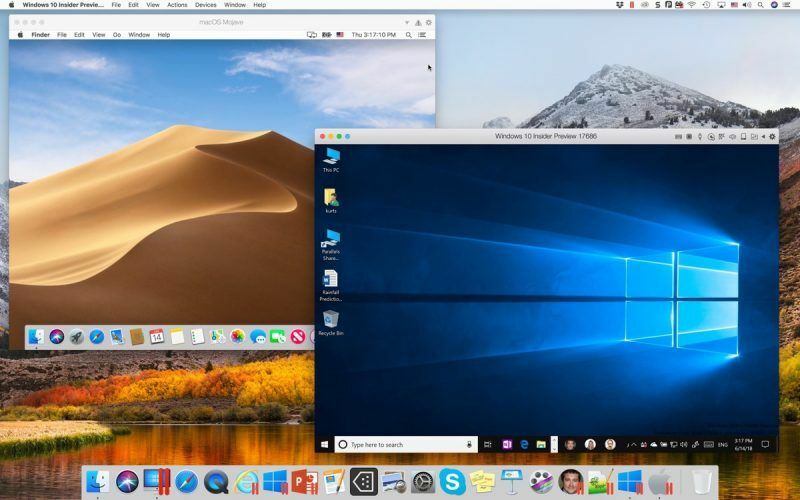 Parallels today released Parallels Desktop 14, a visual machine software for macOS Mojave, with great improvement on start-up efficiency. This update focused on storage optimization after improvement. The size of Parallels Desktop is about 20-30% smaller than previous versions. The company also said this visual machine could save up to 20GB disk space now, depending on the configuration setting that the user chooses. In addition, developers optimized the memory state compression of saving using Snapshots, and the average occupied space has been lower by 15%. The new disk space guides provide users with advices on how to save storage as well as how to manage multiple visual machines and VM snapshots. Parallels 14 also introduced several Windows functions suitable for macOS. For example, Microsoft Ink now can edit Office documents, and handwriting has been added to CorelDRAW, Fresh Paint, PowerPoint, Adobe Illustrator and Photoshop. Parallels Desktop now provides support for Touch Bar of MacBook Pro apps including OneNote, AutoCAD, SketchUp, Microsoft Visio, etc. And the guides of Touch Bar provide users with shortcuts to customize Windows apps with Touch Bar. Last but not least, Parallels Toolbox has gained some extra Mac functions, including new options like capturing the whole web page, adjust image size, execute memory integration function. Parallels Desktop 14 for Mac has been available on August 23. Users can update Parallels 12 and 13 to the latest version with $50. New users can purchase the annual subscription at $80, or the whole Parallels 14 program with $100 at one time. Parallels Desktop 14 Pro Edition and Business Edition sell at $100 every year.